Does Frontline repel ticks, or does Frontline kill ticks? Tick populations have been increasing dramatically in the last couple of years. With the rising ticks number, the risk for humans and pets to contract ticks transmitted diseases is also up. Frontline is well known among pet owners and popular spot-on preparation. The active ingredient Fipronil acts directly on the nervous system of ticks and other bloodsucking pests. Fipronil is a so-called antiparasitic. So to the question: does frontline repel ticks? Not really repel, but it kills ticks when they get in contact with it. 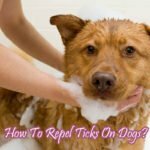 How Does Frontline Repel Ticks? 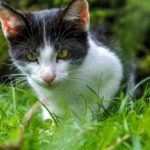 As an antiparasitic, Frontline does kill ticks, fleas and other pests that get in contact with it. The active ingredient Fipronil is fat soluble and as such is absorbed and stored in the oil glands ( sebaceous glands) of a pet. It is slowly released from the glands to the skin and fur. 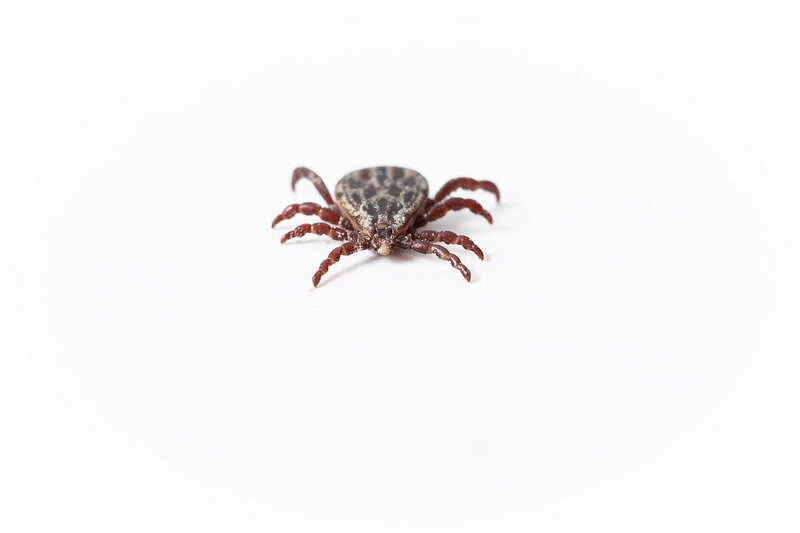 When a tick comes into contact with the skin or fur of the treated animal, fipronil interferes with the nervous system of the bug and kills the parasites. Ticks do not have to bite the pet for Frontline to work. Being in contact with fur and skin is enough to be effective. When applied as recommended FRONTLINE kills ticks in about 24 to 48 hours. Frontline is available for dogs and cats, all animals in a household should be treated. Frontline should be applied once a month. Part the fur in the neck or between the shoulder blades until the skin becomes visible. Place the pipette tip directly on the skin and empty completely. There are unsupported claims that Frontline causes cancers in pets and animals. Studies of Frontline over the years have shown no evidence of these claims. 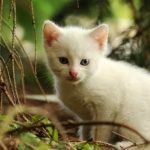 The dose of the active ingredients in Frontline is very and supposedly harmless to the pet, but still lethal fleas and ticks. Side effects are possible with any kind of medication, as the metabolism of each individual may react differently. Whenever using a medication you need to balance the risk (side effects) with the benefit (preventing tick-transmitted diseases). Side effects always sound alarming, fortunately, they are very rare. If Frontline is used as recommended it is very safe and effective in keeping your pet tick free. While some natural methods are better and chemical free, Frontline is more powerful and kills all ticks on your pet’s skin and fur. Frontline is available as a spot on preparation as well as a spray. It is used for the treatment and prevention of skin parasites in pets. Spot on: After proper application, the active ingredient is absorbed into the fat layer under the skin and into the sebaceous glands. From here it is continuously discharged (residual effect). Spray: Sprayed directly onto the fur of the pet. Avoid the head and face to prevent inhalation. Less suitable for animals with a long, thick fur. Scares some animals, the pet needs to get used to spraying. So does frontline repel ticks or kill them? Frontline kills ticks within 24 to 48 hrs of contact. it does not repel ticks from befalling your pet. But as it takes a tick up to 2 days crawling around in search of a suitable bite site, Frontline has likely killed them before they get a chance to bite. Ticks lurk everywhere in your garden as well as out in nature. When bitten by a tick, removal, observation of the bite and monitoring the victim for symptoms of tick-transmitted diseases is most important. Use tick repellents to protect your pets, your self, and your family from ticks. Even there is no 100% guaranty avoiding ticks, effective tick control reduces the risk. But when bitten you need to know what symptoms to look for and when to worry about a tick bite.